Danlaw Inc, based in Novi, MI is an innovative automotive technology firm looking to hire an extremely talented DevOps Engineer to join our growing IT team. We are looking for a great team player who possesses an exceptional work ethic and a solid passion for deploying and supporting state of the art applications. If you are talented, self-driven and see the big picture, we would love to tell you more about our amazing opportunity. Build servers using Apache Mesos, Jenkins and Docker. Handle large volumes of transactional data sets using No SQL Databases. Engage in thoughtful and innovative discussions reaching across functional borders to develop creative solutions and address complex problems. Broad understanding of enterprise architecture patterns involving distributed systems. We are an auto tech company leading a movement in the Internet of Everything by making new ways for people and vehicles to interact. As our digital lives extend to our cars, we think our cars should do more. Our people have what it takes to design, build, test and connect intelligent technology that creates smart vehicles and smarter cities. 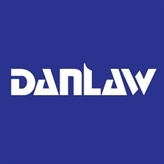 Want to get notified about new jobs at Danlaw Inc?